You probably won't come across these shirts often, but when you do grab it. The Barbour Country Shirt. As shown below I have sold a couple in the past year showing a nice profit for a used shirt. If you come across a Barbour Jacket even better with most used ones in good condition going for $125.00 and up. I am working on an eBook right now about Selling Men's Shirts on eBay. It will be ready sometime in October, just in time to help you make some extra money during eBay's busiest time of year. Send me an e-mail asapsellsit@aol.com with the subject Men's Shirts and I will send you an e-mail when it is ready with a preview to help you decide if you would like to purchase it. It will be very well priced at $9.99. shirts that I have found that are good sellers that I have not posted on this blog. tips on how to sell the shirts on eBay. tips on finding the shirts and standing out from the competion. I am proud to announce that PowerSellingMom Danna Crawford has signed on to be a monthly contributor to Vitamin eBay. Danna will be focusing her posts on TIME SAVING tips. I believe this might be the single most important aspect to becoming successful on eBay. If you don't manage your time well eBay can become very overwhelming. And who better to share her TIME SAVING tips than Danna. Here is a short video about Danna. I am a member of http://www.virtualonlinelearning.com/ which was started by Danna in 2009. It is a great site where everyone shares ideas and learns from each other. Every time I visit the site I get more and more motivated to become a better eBayer so I strongly recommend that you join. If you are an American Express Gold Cardholder you should have received an offer in the mail to purchase the American Express 2011 Executive Book Set for a $4.94 shipping and handling fee. This is a great set to resell on eBay. Check out some recent completed items. Sets are selling in the $30-$39.99 range. A nice little profit for an item that you don't have to do much work on. Offer free shipping within the USA, you can ship it using Media Mail at a low cost. The final post of the day #5. Bad weather in NYC, my wife was stuck in traffic for over 3 hours and we have a 4 month old so I am just getting this post up in time. 1. Download an eBay application to your cell phone. You will come across thousands of brands that you have never heard of and you will have a hunch that it will be a good seller. It's important to be able to check eBay completed items right on the spot to see if it is worth buying. Most thrift stores do not accept returns. 2. Check the kid’s section for adult clothing. I have found so many high end Women’s jeans in the kids section because they look so small. Also a good section to look for cycling jerseys and vintage t-shirts that may have shrunk over time. Plus it doesn’t hurt to find a pair of True Religion kid’s jeans. 3. Bring a tape measure with you. It is important to be able to measure jeans. Jeans with a longer inseam are more sought after. Unless it is really high end pair (example True Religion) try and stay with an inseam of 30” and over. 4. Check the items that you are interested in near a window before buying. If you look at the clothing in natural daylight you will have a better chance of seeing stains especially on dark color clothing. 5. Make yourself aware of half price days. This is a no brainer. Most thrift stores will offer a half price day or a half off that color tag for the day. 6. Ship clothing items in tear proof poly mailers. You will save on the weight if you use these instead of using a box. You can purchase them in bundles on eBay for around .12 each. It is a good investment. 7. If possible ship jeans domestically in priority flat rate envelopes. It will lessen the shipping costs for people who live on the opposite coast then you. 8. Visit websites like HonestForum.com to familiarize yourself with high end brands. You will definitely come across knockoff items. If you know what to look for you will limit the chances that you purchase a fake item. Also check out the reviews and guides section of eBay for advice. 9. Do not mix business with pleasure. If you are going to be serious about reselling thrift store items on eBay, do not start shopping for yourself while at the store. Set a goal and go for it. 10. Be Patient. You will have some down days, but trust me the longer you do this and the more you learn you will eventually be flying through the racks finding items that will bring you good money. 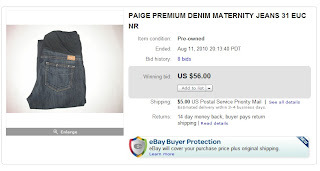 You might want to start a new eBay user id to sell your thrift store finds. Make it a clothing only store and you will get a good following if you offer unique items and offer great service. Offer incentives for repeat buyers like free shipping or a discount off their next purchase. My 4th post of the day. My site visits are up and I see I have 5 new followers, so this blogger challenge has turned out to be excellent exposure so far..
To my new followers, I like to post my top earning Thrift Store Find for each month. I know I should have posted this at the beginning of September, but here it is a couple of weeks late. For all my top monthly Thrift Store Finds click here. August was probably my slowest Thrifting Month of the year. I spent a lot of time concentrating on my consignment business. http://www.asapsellsit.com/. But I still found this great pair of maternity jeans for $4.99. Check out my post on designer maternity jeans for helpful hints on finding maternity jeans at thrift stores. Look for the same brands that bring in top dollar as regular high-end jeans. True Religion, Paige, Rock & Republic, etc. Avoid common labels like Motherhood Maternity, H&M Mama, Gap. Since we are in the middle of a Blogger Challenge, I figure now is a great time to look for Guest Bloggers. If you would like to be a Guest Blogger send me an e-mail to asapsellsit@aol.com or leave a comment below. Blog posts should be eBay related. It could even be an old post from your own blog. 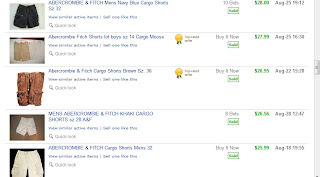 Of course you can include links back to your blog, web-site or eBay store. So it will be great exposure to new readers. Every thrift store in my area always has a bunch of dinnerware items in stock. I admit it is not the first area I go to when I walk into a Thrift Store, but I have been ending my visits in that section and have come across some great finds. I have added pictures of some of those finds below. Plates are usually just stacked in bunches so it takes some time to carefully look through the plates because you don't want to be that person who breaks something because you know every body in the store will turn to look at you. Dinnerware items are usually marked on the bottom. This is where you have to be prepared by researching before you go or by using your eBay app on your cell phone. A few names you should look for are Fire-King, Fiestaware, Russel Wright. Sometimes you just need to take a shot on something that looks unique to you. 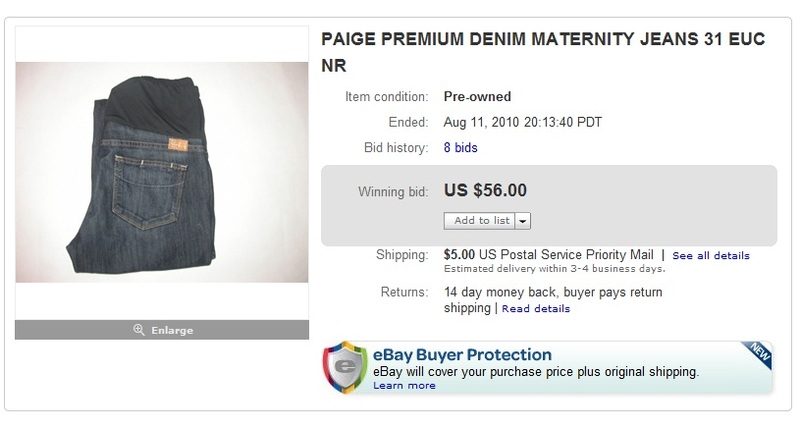 I did some researching of my own and found this auction to be interesting. That is an idea of something you might never think of if you saw it but why not take a shot. Here are those completed items that I found thrifting. Great profit as these items were between .99-$2.99 each. I am very excited to participate in the http://www.virtualonlinelearning.com/ Blog Challenge. The goal of the challenge is to add 5 new blog posts today (September 16th 2010.) I know I have been falling behind on my posts lately, so hopefully this will get me going again. VOL is run by Danna Crawford aka Power Selling Mom. If you are not familiar with Danna, then you should visit her main website http://www.powersellingmom.com/. Danna is everywhere you look when it comes to eBay. Danna is a member of the eBay Hall of Fame and has almost 27,000 followers on Twitter, so she must be doing something right. That's about 26,500 more than I have. Click here to follow me on Twitter and help me catch up to Danna. For a $50.00 LIFETIME membership fee you get so much information. So check it out and enjoy my posts today. As always your comments make this blog more interesting and keeps me going. Thank you for your support. A $10 dollar plus profit on one of the easier items to find at a Thrift Store. And if you have followed my blog $10.00 profit per item is what I look for or I pass on it. All $20.00+ sales and that is just a small sample with some sales in a higher price range $30.00. Look for sizes 34 and up.